FOOT | GEORGE D. GOUDELIS MD. Ph.D. 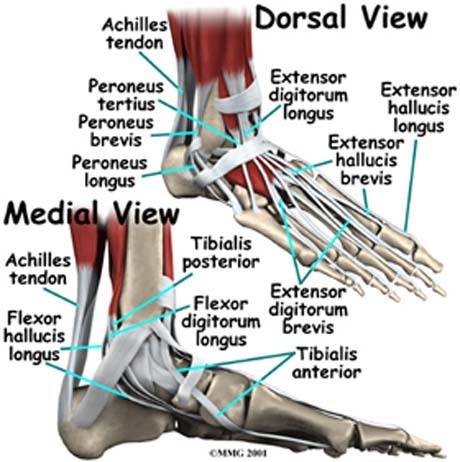 The human foot and ankle is a strong and complex mechanical structure containing more than 26 bones, 33 joints (20 of which are actively articulated), and more than a hundred muscles, tendons, and ligaments. 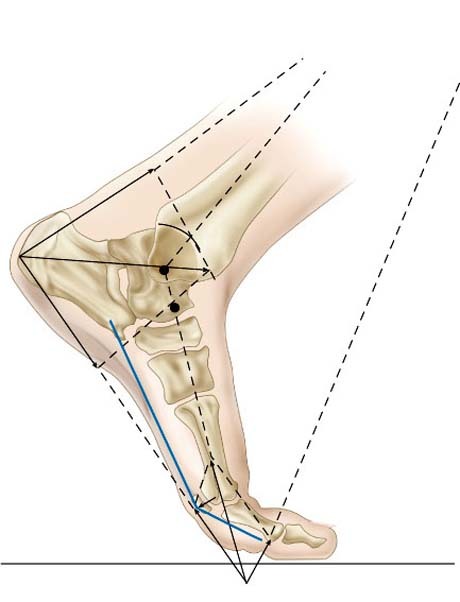 The five irregular bones of the midfoot, the cuboid, navicular, and three cuneiform bones, form the arches of the foot which serves as a shock absorber. 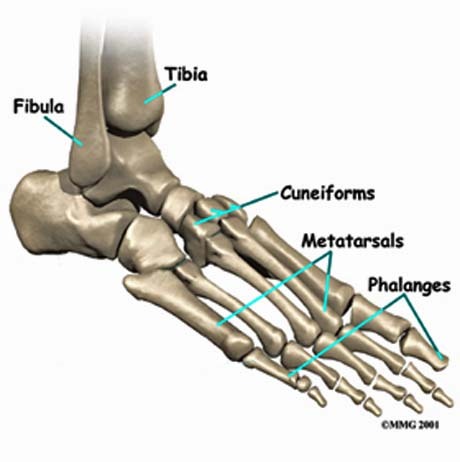 The forefoot is composed of five toes and the corresponding five proximal long bones forming the metatarsus. Similar to the fingers of the hand, the bones of the toes are called phalanges and the big toe has two phalanges while the other four toes have three phalanges. The joints between the phalanges are called interphalangeal and those between the metatarsus and phalanges are called metatarsophalangeal (MTP). Muscle system of the foot.